Our mission is to provide the highest quality dental care for our patients. A straight smile has never been easier to enjoy. With our convenient location in Surprise, Arizona, we care for the surrounding communities of Sun City West, Sun City Festival, Sun City Grand, and the Northwest Phoenix Valley. Surprise Dental and Denture is a family-owned practice, owned by the husband and wife team of Dr. Jason Melashenko and Dr. Stephanie Mashni. We want you to feel like family from the moment you walk through our door until you leave. Our calm, inviting office will feel like home. We understand going to the dentist isn’t everyone’s favorite way to spend an hour, so we go out of our way to make sure each patient has a positive and comfortable experience. We are committed to blending technology, science, art, and hugs to build the best foundation for our patients' oral health today and in the future. We manage everything from children’s checkups to implants, veneers, Invisalign, crowns and bridges, Botox, and in-office and take-home whitening! Our office uses the latest in dental technology including laser dentistry, 3D digital imaging and impressions, Identafi® oral cancer screening, decay detecting lasers and digital x-rays. We provide quality dental care, conveniently in your neighborhood and cater to your schedule. 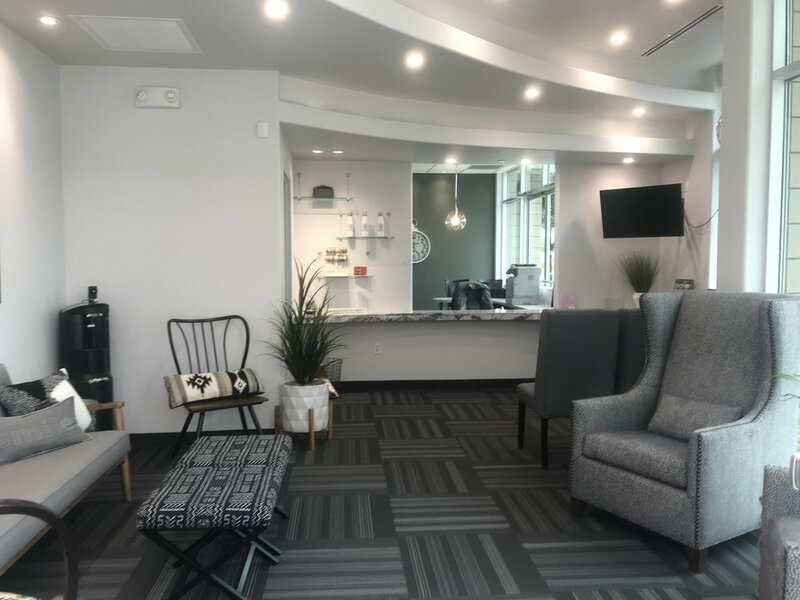 Because your comfort is important to us, we offer many of the modern amenities you’ve come to expect in a dental office including a beverage station with hot and cold selections and pillows, blankets, and headphones to help you relax during procedures. We believe that whatever your dental needs may be, you will be treated with the highest quality dentistry available and with the most compassionate, respectful care you deserve. Invisalign brings stealth straightening to you with thin, invisible trays. Surprise Dental & Denture’s experience puts a stunning smile within easy reach. When today's modern materials meet our passion for cosmetic excellence, you'll be amazed at what you see smiling back at you in the mirror. Dental implants provide solutions for missing teeth. Dr. Jason Melashenko and Dr. Stephanie Mashni bring their expertise to direct your implant case at every stage. Dr. Jason Melashenko, or Dr. J to his patients, grew up in California. He received his Bachelor of Science degree at California State San Bernardino and earned his Doctor of Dental Surgery degree from Loma Linda University School of Dentistry. His greatest dental passion is creating beautiful and functional smiles. He enjoys all aspects of dentistry and considers himself blessed to care for patients and is grateful for the trust they put in him to care for their smiles. Dr. Stephanie Mashni is originally from Michigan. She received her Bachelor of Science degree from Michigan State University earned her Doctor of Dental Surgery degree from Loma Linda University School of Dentistry. She is excellent with children in the dental setting. All the kids love her! "I really love this place! Everyone is so courteous and fun! Polly did an amazing job on my treatments - I would recommend Surprise Dental and Denture to everyone!!" "No pressure, no hassle. They set out a plan, they highlight the sequence of your appointments. Inviting and warm atmosphere. 5 out of 5 dentists would recommend Surprise Dental and Denture." "They just do not come any better than this. I'm not kidding here. VERY professional staff that make you feel at ease - the Doctor is the best I have ever had and I am 51 years old. I am very glad that I walked in the door "just to make an inquiry." "Check these folks out it you leave in or near the west side. Very friendly staff, who looks out for what is best for you. Whole family are big fans of the Dr.’s and all staff." Schedule an appointment with Dr. Melashenko or Dr. Mashni today!